The economic perspectives of young people in many developing countries are extremely poor, and unemployment rates staggering high. Even when jobs are available, there is often a mismatch between the skills young people can offer and those required by employers. In some of these countries, poverty, lack of economic perspectives and social and political social instability lead to migration and radicalization. This is why addressing youth unemployment ranks high on both international and local development priorities, including Dutch development policy and the 2030 agenda for sustainable development. The Dutch Ministry of Foreign Affairs has set up in 2015 the Local Employment for Development in Africa (LEAD) programme. The overall objective of LEAD is to generate sustainable income for youth by creating 17,000 sustainable jobs offering decent work directly to young people in Algeria, Egypt, Libya, Tunisia, Mali, Nigeria and Somalia. LEAD seeks to stimulate entrepreneurship among youth and enhance their employability and has a special focus on women. It supports young entrepreneurs through business and social skills training, mentoring and local coworking spaces, incubators and innovation labs. The programme can link up young entrepreneurs with interested investors and help them in getting access to finance. With business and social skills training, young people can increase their chances on the labour market. LEAD is implemented by four Alliance of NGOs headed by respectively SOS Kinderdorpen, Oxfam Novib, Hivos and Spark. Implementation started early 2016 in said countries. In most countries implementation is well on track and the first exemplary results have been noted. Hivos is one of the four implementing partners of LEAD. Within the programme, Hivos supported over 10 coworking spaces in 2016 for young people in remote regions in North Africa. One interesting example was the establishment of the Cirta coworking space in Kef. Read the story of young Tunisian entrepreneur Walid who opened this place. Oxfam Novib, together with VC4A, Butterfly Works and IOM, has set up the She Leads Africa (SLA) Accelerator program, as one of the components of LEAD. This program is designed to identify, support and fund the next generation bright entrepreneurs. 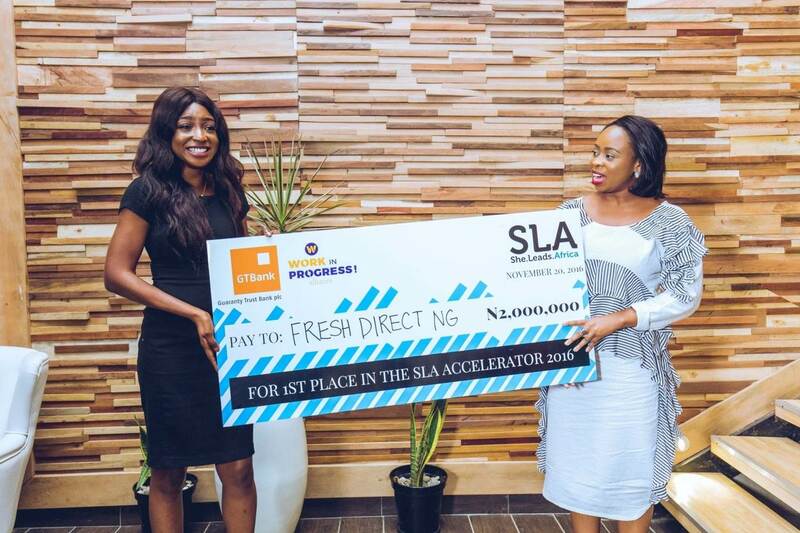 Angel Adelaja is one of the participants of SLA in Nigeria; have a look at her story and read how she was able to start a successfull business in the production of organic fruits and vegetables. Visit the SOS kinderdorpen website (in Dutch) for information about their LEAD programme The Next Economy that is geared to support young entrepreneurs, increase the employability of youngsters and help existing business to grow and create new jobs. The Next Economy programme is being implemented in Nigeria, Somalia and Mali. 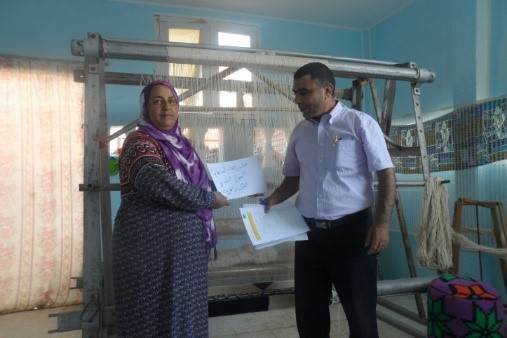 SPARK has set up a project in Tunesia that aims to support Tunisia’s new and existing SMEs, particularly businesses led by women. One of these women is Cherifa Soltani who took part in the LEAD programme, implemented by SPARK and now runs a growing business in carpet weaving. Read more about the Dutch policy to encourage enterprises in developing countries.